Time exists in its interaction between people. In this way it materializes into a unique entity that exists beyond the constraints of what anyone can comprehend. This series began as an exploration of the relationship between Time and people. I wrote a simple monologue (read it here) of what I imagined would be running through Time’s head. I pictured its observations of people as mere blips along the larger scheme of things. Explore the concept of time and create a complete alphabet with letterforms that explore your artistic direction. By viewing it from a different point of view I realized that time makes distinct marks on people, just like fingerprints. Each second is unique to an individual and there are varying degrees of impact time makes on us everyday. I selected script letterforms because these better convey human qualities. The layout is meant to show a sense of motion yet still in a very delicate, subtle way. Each letter was chosen from thousands of different fingerprint compositions which I imprinted with my own fingers. The letterforms were then combined in photoshop before printing. 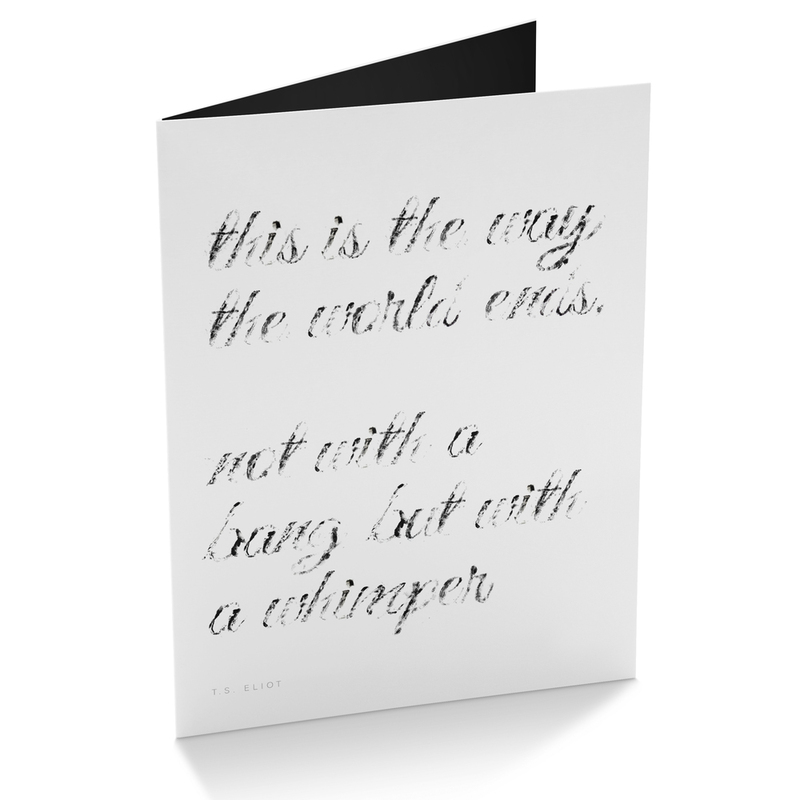 I used the letterforms to create a set of cards with quotes by some of my favorite authors and philosophers. The slightly dark side of each quote felt also matched the inspiration of the letterforms, as well as the final output. The use of fingerprints also worked well with the tone and theme of each card. I wanted the insides of the cards to be black to create a nice surprise for the viewer. It was also a way to show that life and people and time have more depth once you take a closer look.